I can hardly bear to write this but I must. Our darling boy, Jules, passed away last night. If ever a dog stole a heart, that boy stole mine. He was gorgeous in every way. Our little family of Bichons is no more. This entry was posted in Doggy things by Glenda. Bookmark the permalink. Thanks everyone for your kind words – I appreciate them all. 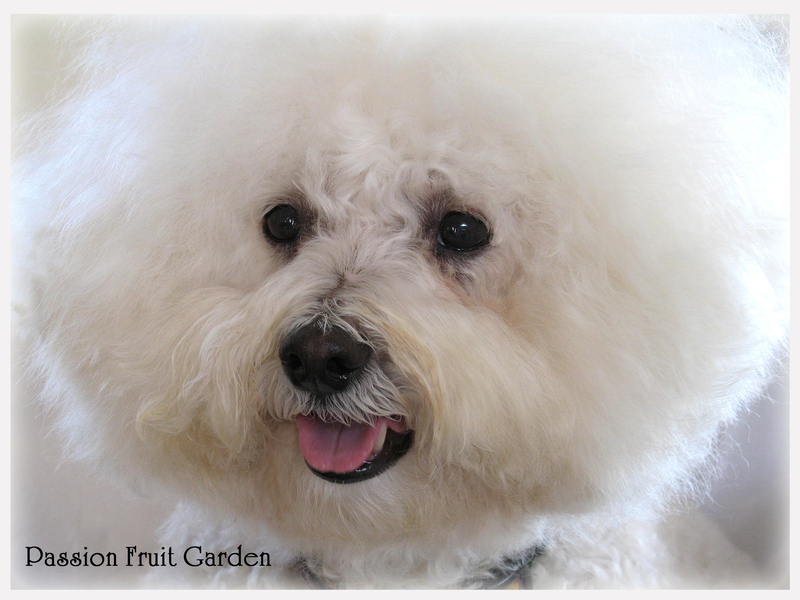 We are slowly coming to terms with the fact that our Bichon family is no more. So very sad, I feel for you both. I am so sorry to hear this sad news. They capture our hearts and are with us for too short a time. Oh Glenda and Maus so sorry 😦 to hear this very sad news. Sending you both hugs. I’m so sorry Glenda. I remember when you first brought your boys home. Much love to you and Maureen. We arrived “home” late last night. Let us know if you are up for a coffee some time. Very sad for you Glenda, the loss of Jules must leave an enormous gap. Hi Ella, It is hard to believe. He was fine when you left and then a few hours later – terminally ill. I guess I can be comforted by the fact that he was not in discomfort for long. Dearest Glenda, my heart breaks for you. Sending big hugs. Our love and thoughts are with you both, no one could have given those 3 little babies a better life than you and Maureen. You loved them with all your heart and soul, and sacrificed a lot to maintain their quality of life. They were such characters and we will miss them very much. Sending you lots of love and hope Jules is in a good place. Glenda, much love and hugs to you and Maus to heal the void in your hearts. Take care of each other Glenda and Maureen at this very sad time. It is so hard to believe that you have now lost Jules. All your dear doggies now together and one thing is for sure they had the best life ever with you both. Thinking of you both lots. Feeling so sorry for your loss. Very sad.